Wilson’s tenor playing is never less than commanding. A cast iron technique and mature tone mark out the Scot’s sound from most other tenor players. Searchlight Nevada opens the album. A tale – a fanciful tale? – about John Coltrane getting lost in the desert rips it up. The leader’s band mates are first call musicians. Pianist Paul Edis wears many hats – composer/arranger, big band MD, educator, recording artist. Bassist Andy Champion can be said to have a similar, busy schedule and drummer Adam Sinclair finds time to play in a number of bands when he isn’t in the studio working as a successful engineer/producer. Stellar playing from all concerned, the standard set, it’s as good as this throughout. 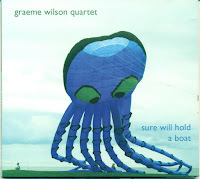 Nine tracks, all composed by Wilson, were recorded in the Reid Concert Hall, Edinburgh in May 2015. Some of the tunes will be familiar to gig-goers in the north east and further afield. The Sycamore and The New Wallaw were vehicles for Voice of the North (an Arts Council-funded outfit and the brainchild of Adrian Tilbrook). The compositions emerged from a Rednile project based around a closed, decaying cinema in once prosperous Blyth, a south east Northumberland town servicing the northern coalfields. The Sycamore refers to a tree taking root in the crumbling brickwork of the Art Deco building. The companion piece – The New Wallaw – bristles with optimism. Little did Wilson know that a well-known pub chain, noted for renovating and reviving some of the more interesting buildings on our high streets, would rescue the building! Five Floors Up closes the album. Repeated listening has elevated this tune to the top of a long list of favourites. Taken at a leisurely tempo, the tenor playing is masterful, as is the piano playing. Bass and drums (Sinclair’s brushes) take it out to the accompaniment of a whistling Wilson. Principal CD credits: Adam Sinclair engineer, Kevin Hay assistant engineer. Adam Sinclair mixing and mastering, Cath Reay cover photography, Lindsay Duncanson band photography. 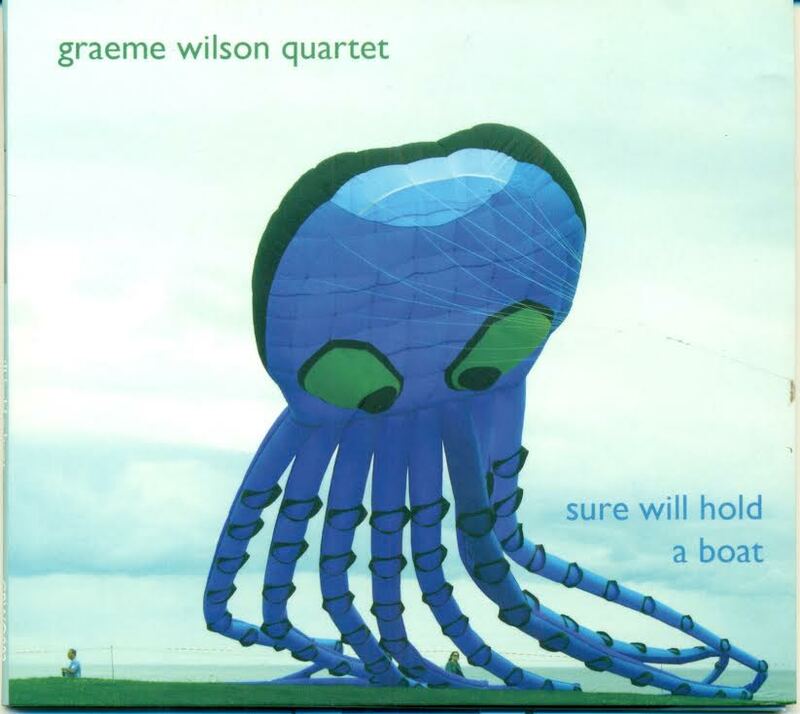 The Graeme Wilson Quartet’s next gig on Thursday 31 March at the Davenham Theatre, Nantwich, Cheshire starts at 8:00pm. Highly recommended. Take home a CD.